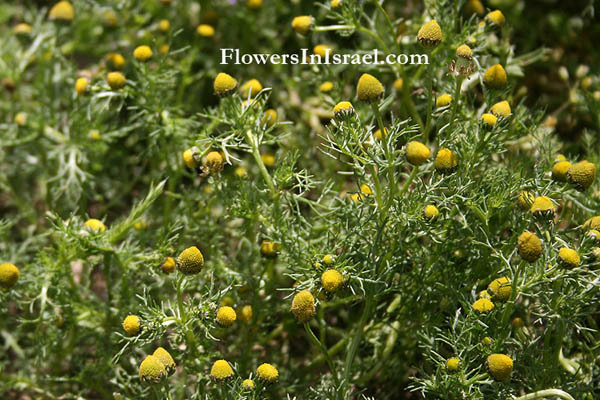 Scientific name: Matricaria aurea (Loefl.) Svhultz Bip. Matricaria, Latin matrix, the womb; mater, mother; caries, decay; because of its one-time medical use in affections of the uterus. Chamomilla, from the Latin chamaemelon, "chamomille or earth-apple," referring to the smell of the blossoms. The standard author abbreviation Loefl. is used to indicate Pehr Loefling (1729 – 1756), a Swedish botanist. The standard author abbreviation Schultz Bip. is used to indicate Carl Heinrich Schultz (1805 - 1867), Bipontinus, a Latinized reference to his birthplace, Zweibrücken. He was a German physician and botanist. The standard author abbreviation Gay is used to indicate Jaques Étienne Gay (1786 – 1864), a Swiss-French botanist, civil servant, collector and taxonomist. The standard author abbreviation Kralik is used to indicate Jean-Louis Kralik ( * 1813 - 1892 ), a French botanist. 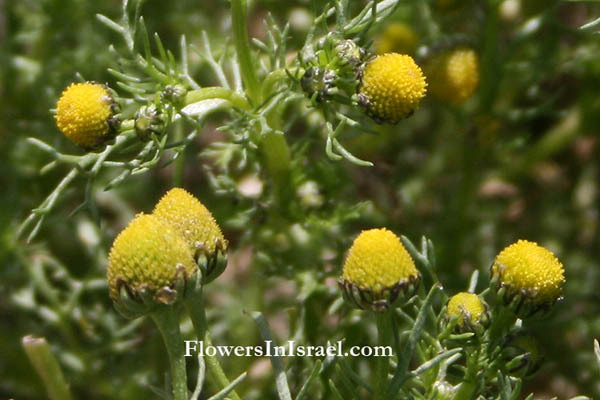 Inflorescence is used for making a tea for all stomach ailments.